The Orchestra of the Age of Enlightment’s upcoming tour will mark the first time that the orchestra and Askonas Holt have worked together in Daejeon, South Korea and China. 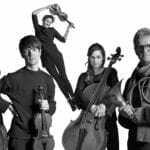 The four-date tour will see the OAE perform an all-Handel and Telemann programme at the Konzerthaus, Vienna, Daejeon Culture and Arts Centre, Daejeon, South Korea, and in China, Shanghai’s Symphony Hall and the National Centre for the Performing Arts, Beijing. Joining the OAE on tour is tenor Ian Bostridge, who will sing arias from ‘Ariodante’ and ‘Acis und Galatea’, as well as music by Telemann. See the full repertoire on the tour’s page.